Photos are important! They document the most important moments of our lives and if you’re a blogger they illustrate the story that you’re trying to tell your readers. But getting a photo to look just as you want can be quite another story altogether. The right equipment is vital to producing the best result. 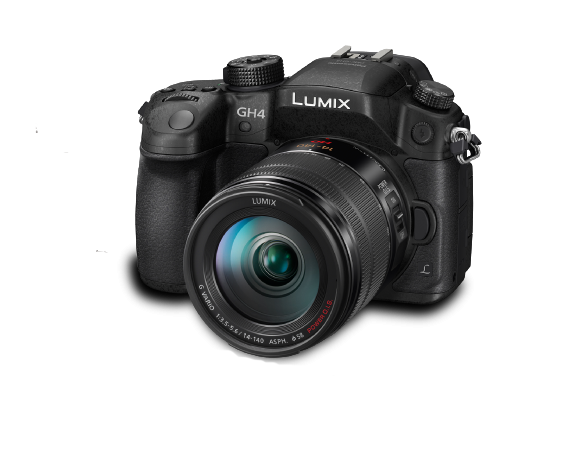 Unfortunately the ‘right’ equipment doesn’t always come cheap, so today I’m posting up my basic photography wishlist for bloggers looking to improve their photographic skills. 2. Get ye a decent camera phone! Trust me when I tell you that this is an important step. No matter how often you take your camera with you there’ll always be that perfect moment/picture that gets missed if you don’t have a viable alternative at your disposal. As most of us carry our phones at all times it makes sense to pick a model with a decent camera. 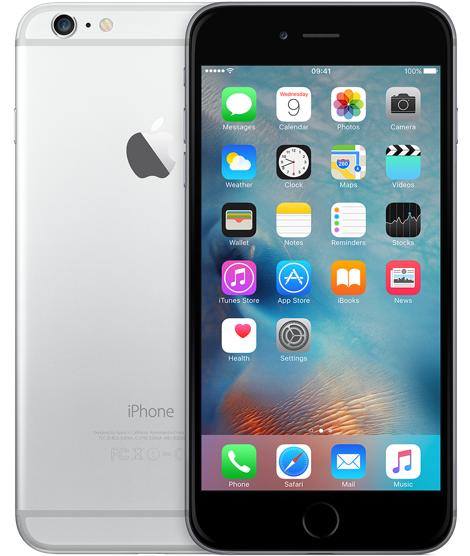 Earlier this year Tech-Advisor did a great run down of the best models currently available, so pick one that meets all your phone needs. 3. Software! We all love producing amazing photos but sometimes it just doesn’t happen. Maybe the sun disappeared just as you pressed the shutter button, perhaps artificial lighting or flash washed out all the colour. Whatever your photographic ailment the right software can help. Start out by using a free software such as PicMonkey and see just what an improvement you can make. The skies the limit in terms of what you can achieve (and the money you can spend!) so make sure you trial any paid software before committing. Adobe offers trials on some of their most popular photo editing software and they are definitely worth a play with. 4. A fast SD card. 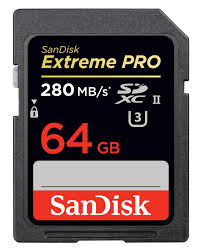 If you want to take a quick succession of pics or even a video then you need to invest in some decent SD cards. Consider both speed class and transfer rate. This is one area were skimping on a cheaper card will cost you in the longer term. Take a look at Alphr.com for a more thorough explanation. 5. Accessories!!! 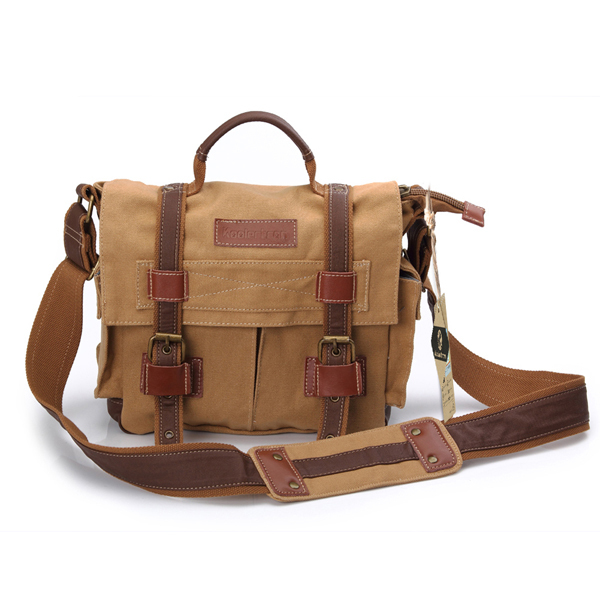 Have some fun with your new kit and invest in some fun and functional new accessories like a fabulous new camera bag or phone case. 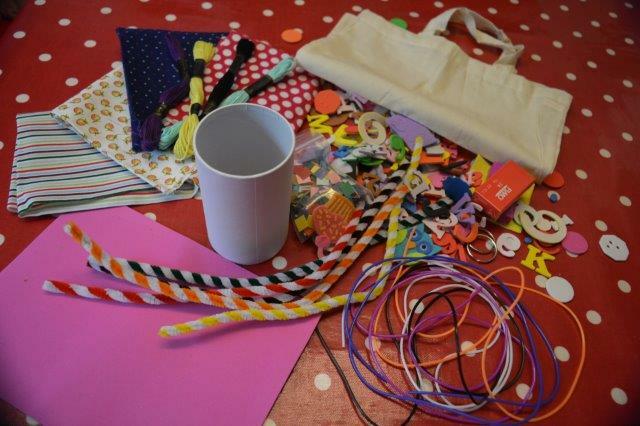 Make your own Fabric Knitting Bag, Pencil Roll & Fabric Flowers with Bostik! 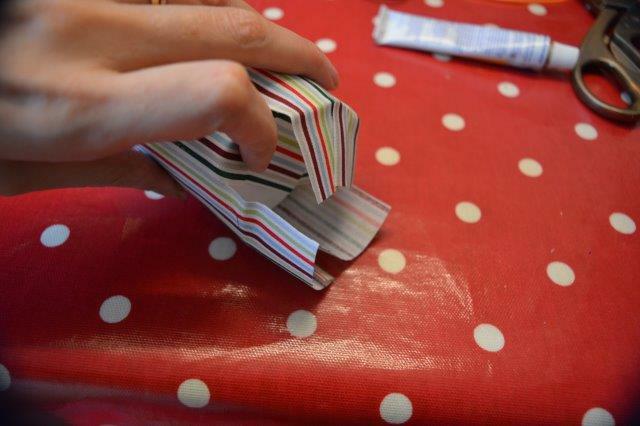 The key ingredient in this box was Bostik Sew Simple fabric glue. 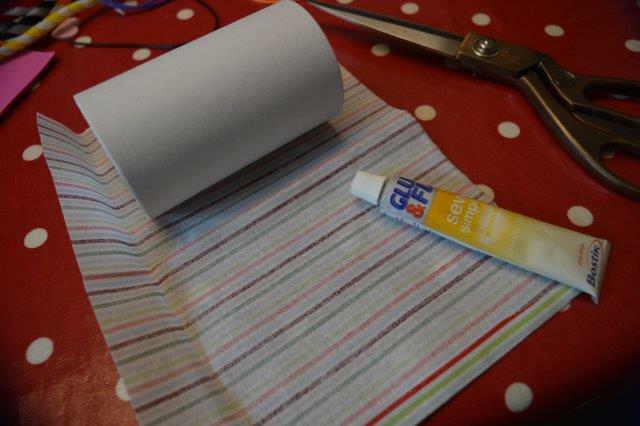 This amazing glue allows you to stick fabric together in an instant, completely bypassing the need for laborious sewing. To make the vase for our flowers we used the Bostik Sew Simple fabric glue to attach fabric to a simple cardboard container. 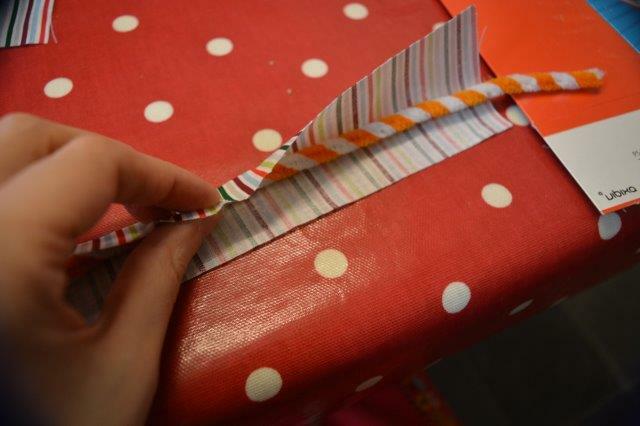 At the base the fabric is clipped into wide strips to allow them to be folded and glued into place. 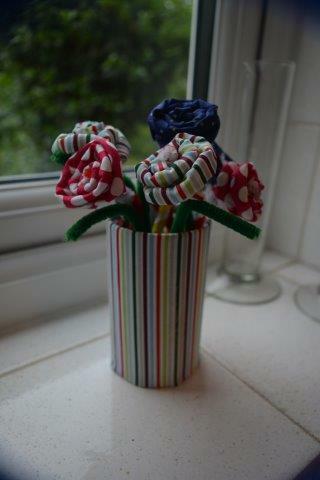 The flowers are made by cutting a strip of fabric wider than a pipe cleaner. The fabric is glued along one edge to cover the pipe cleaner, keep a small piece of pipe cleaner sticking out of each end. 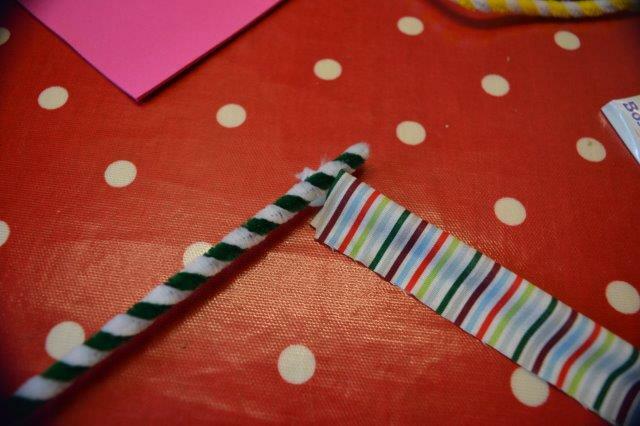 Another pipe cleaner is looped around the first on one end, this will create the stem of your flower. The fabric is then bent and wrapped around the stem to create a flower shape. 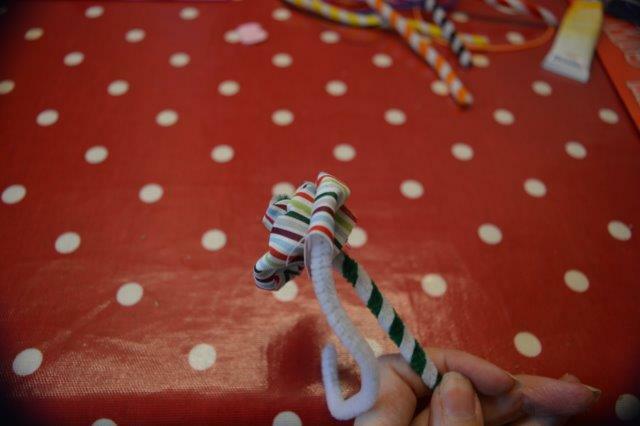 To finish wrap the end of the first pipe cleaner tightly around the stem to secure. Make several more and display in your brand new fabric vase! 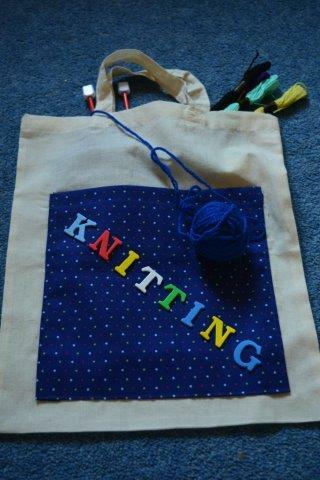 My daughter has only recently started to knit and as any knitter will know having a bag to keep your needles and wool in is essential to avoid complete confusion and tangled threads. The bag is just a plain fabric bag. Using the Bostik Sew Simple fabric glue we stuck a large panel of cotton fabric to the front. My daughter then selected colourful foam letters which spell out ‘Knitting’ and glued them into place. Inside the bag we attached a smaller piece of fabric, which was the perfect size to slip her knitting needles into. This was sewn into place to give a little extra strength. If your children are anything like mine then you’ll be used to finding stray pencils and crayons in all manner of places. 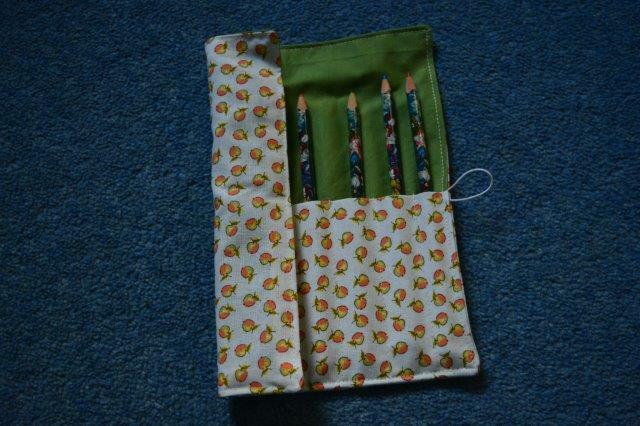 Having a pencil roll keeps the best of them organised and is perfect for taking on a trip out and about. 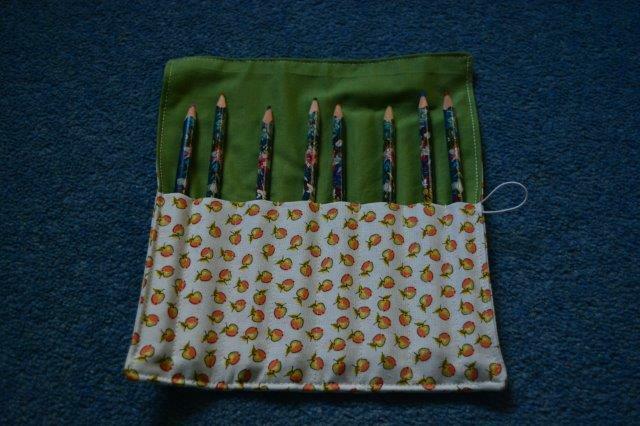 To make the pencil roll I adapted a tutorial I found online at http://two-little-monkies.blogspot.co.uk/2013/04/sewing-tutorial-w-pictures-crayon-caddy.html. It’s a great little tutorial and definitely worth a go. 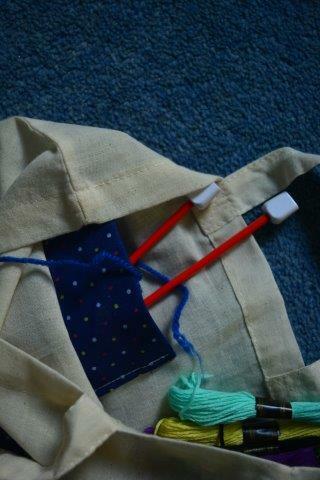 Comments Off on Make your own Fabric Knitting Bag, Pencil Roll & Fabric Flowers with Bostik!